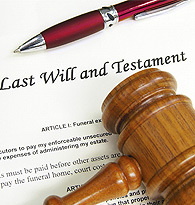 Florida law rules how a testator may create and execute a will under the Florida Probate Code. These statutory rules describe the procedures for the plan, fillings and proofing of a valid will. Testators residing in Florida who do not adhere to these rules while drafting a will face the likelihood of having their will partly or completely annulled, which can subject some or all of their estate to state intestate succession guidelines. Contact our attorneys today for the best guidance and legal representations on wills.